While driving thru many of the small towns in Northern Minnesota, you’ll notice they have one thing in common. That one thing is an outdoor hockey rink. Some towns have multiple rinks so there’s ice time for everyone, and some towns have rinks with boards that have bordered the ice for generations. Winters can be pretty tough in Northern Minnesota, and it just might be the sport of hockey that gets many families through the long snowy season. With that appreciation for the game, there is no better place in the country for the US Hockey Hall of Fame to call home. 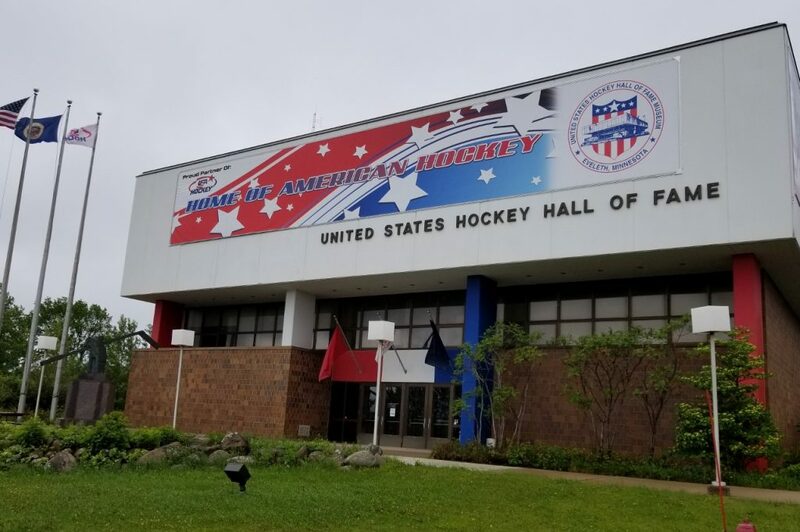 The US Hockey Hall of Fame is located in the town of Eveleth, Minnesota, which is only three hours north of Minneapolis. 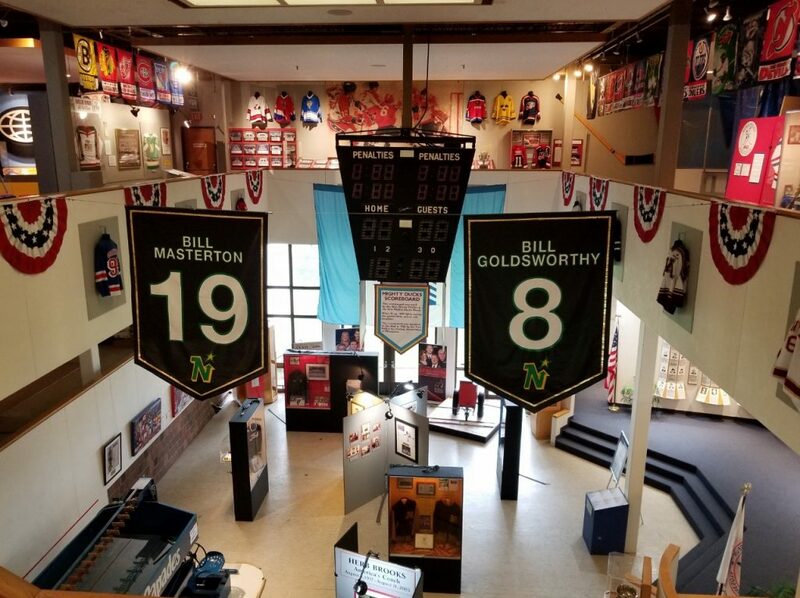 The Hall of Fame was established in 1973, and holds three floors of hockey history. The first floor of the Hall of Fame features the wall of inductees. Take the time to look at the photos, even if you aren’t a hockey fan, because you will recognize more than a few names. Did you know that Charles Schulz, the man behind the Peanuts comic strip, was an inductee? There are also a number of exhibits showcasing the hockey career of Herb Brooks. Herb Brooks was a hockey player and coach, and is most widely known for being the head coach of the 1980 US Olympic team that upset the Soviet team to win the gold medal. 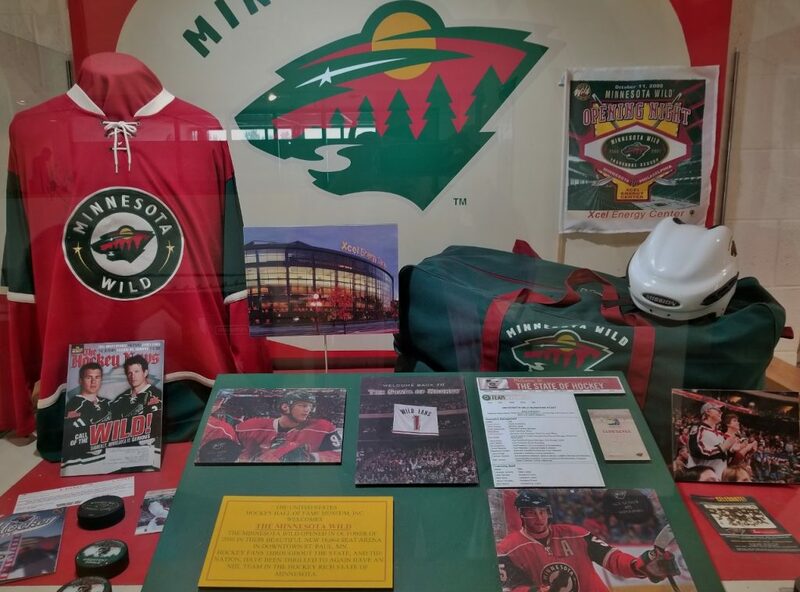 On the second level, you will find exhibits that highlight the MN Wild, the history of hockey, and high school hockey. 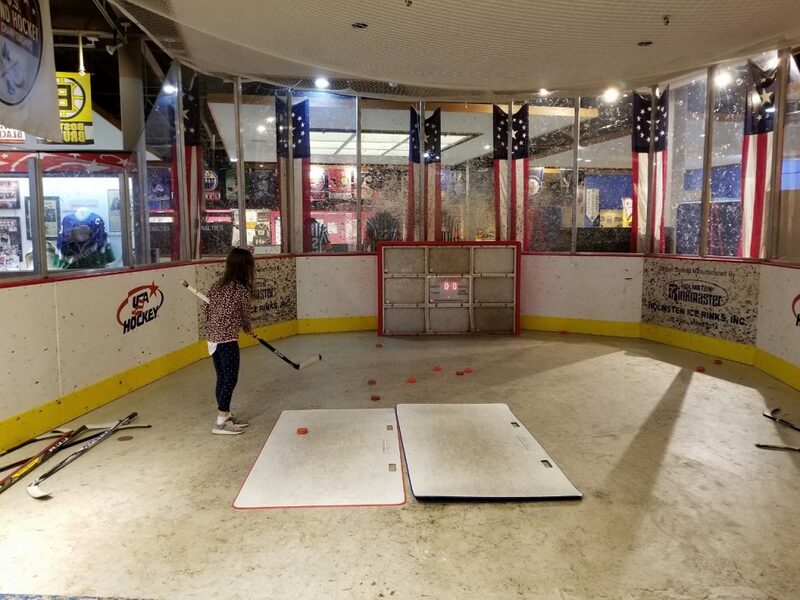 The upper floor is full of even more exhibits, and also gives you the opportunity to hit some pucks. This was the perfect time for me to hit a few pucks and test out how fast my shots were flying. I managed to top out at 16 mph…can you tell this was my first time ever to hit a puck? 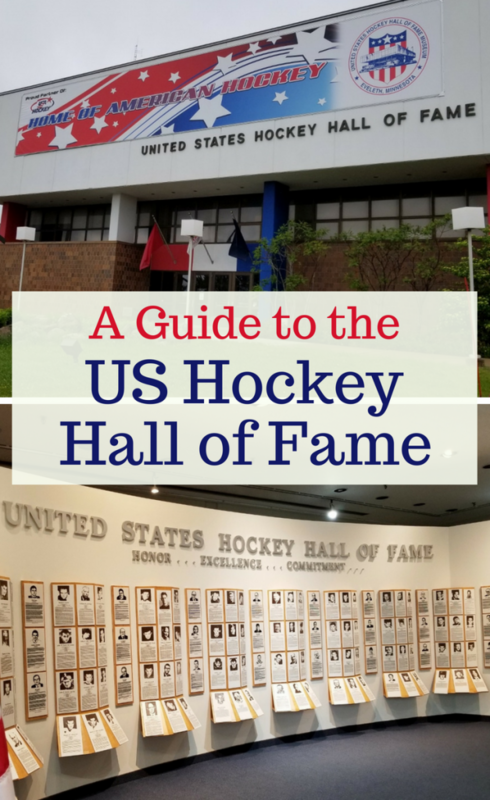 Depending on how interested in hockey your family is, you should plan to spend 1-3 hours at the Hall of Fame. Take the time to really look at and read the displays, and you will not be disappointed. 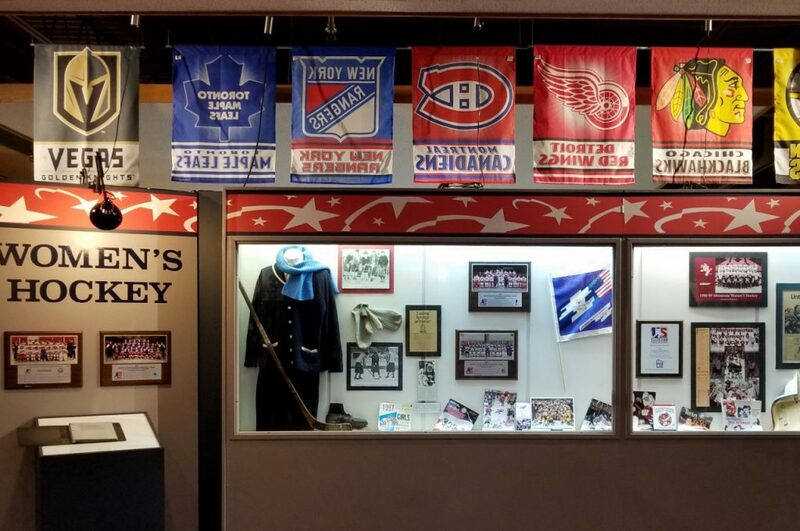 The US Hockey Hall of Fame is open every day between Memorial Day weekend thru Labor Day. During the rest of the year, it’s open on Friday-Sunday. Check their website here for the hours. The price of admission is an absolute bargain and ranges from $6-$8 per person. Kids under age six are free. For an even better deal, print the coupon on their website for 50% off admission. Of course, there is a gift shop, and we managed to spend more than a few bucks there. 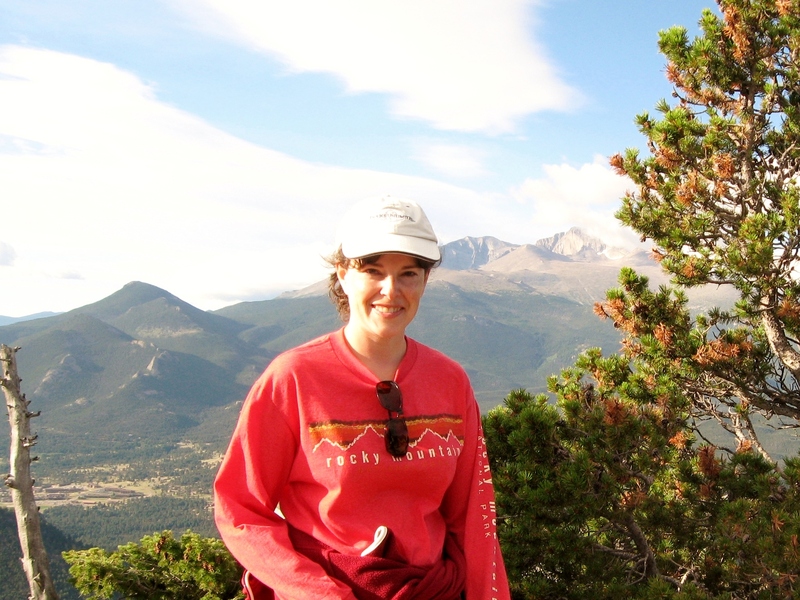 The merchandise was excellent quality and was priced very reasonable. The gift shop was stocked t-shirts, mugs, NHL pennants, plastic hockey sticks, and more. When your family is finished touring the Hall of Fame, there is one more stop you have to make. 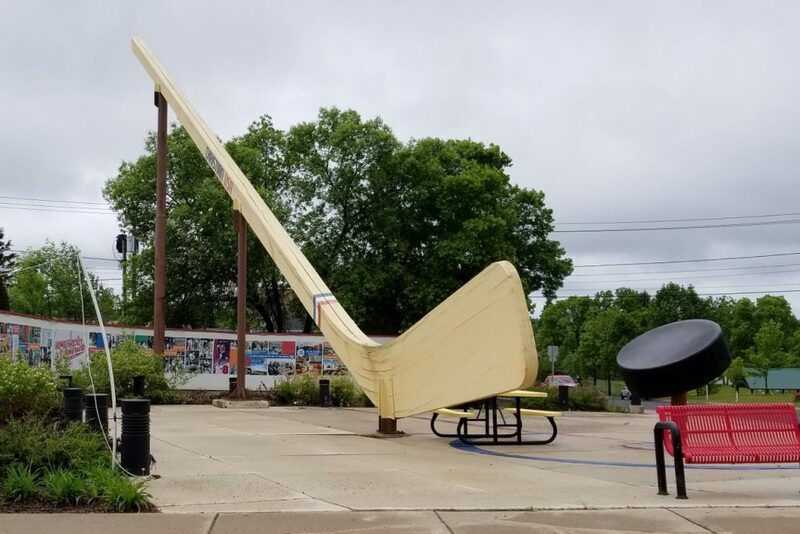 Your family can’t leave town without a picture of the world’s largest authentic hockey stick. Seriously, you can’t. The hockey stick is over 110 feet long and weighs 10,000 pounds. It is located near the main street area of Eveleth. Just look for the handle of the stick towering over the nearby buildings. 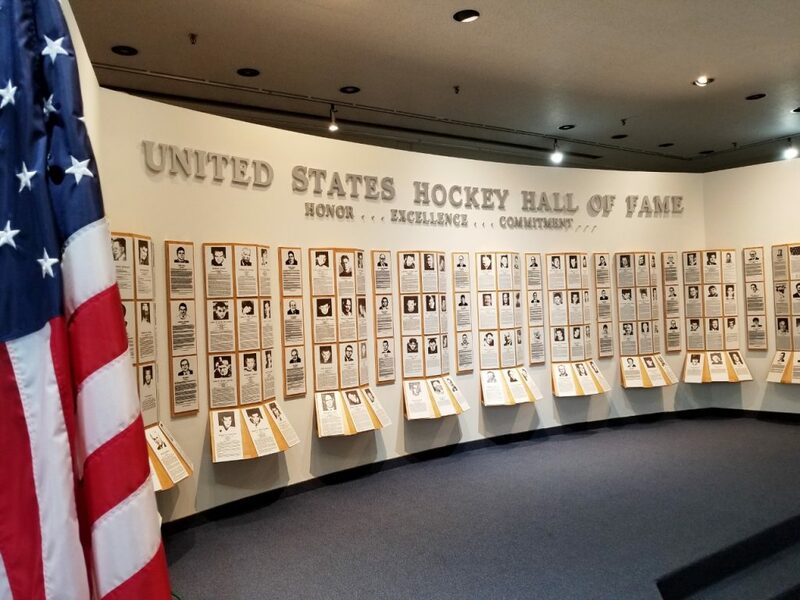 Whether you are a hockey family or not, you shouldn’t miss a visit to the US Hockey Hall of Fame. Your visit will be entertaining, educational, and encourage your little hockey players to dream big! I’ve been wanting to get my husband up here for a while now. Looks like a fun stop! I love the interactive elements of the museum. I have a feeling my puck speed would be pretty slow. Fantastic! 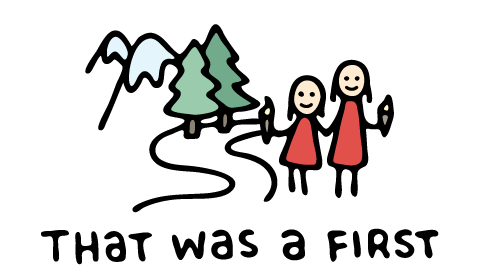 We haven’t been for about 15 years. It’s a great place to have here in MN!